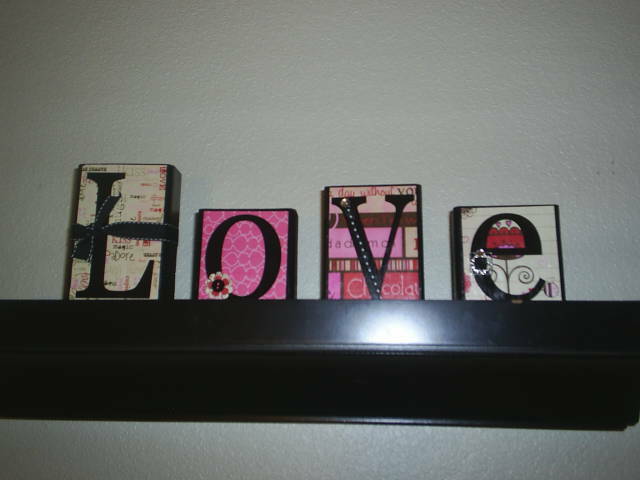 These love blocks add a nice touch to the home for Valentines. Simple to make, and a great reminder for the family to do all things with Love! This was going to be part of my Valentines Decorations, but circumstances didn’t allow me to get to it until after. My mom’s ward was making these the week before Valentines. I was supposed to be visiting their house that week, but the weather was bad, and we were down to one car. 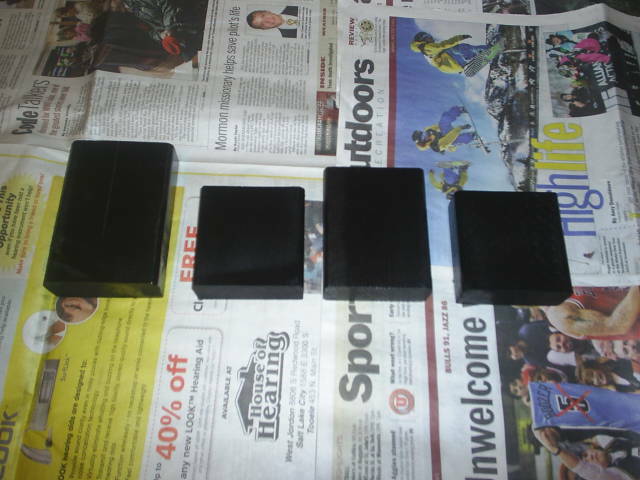 So I finally picked up the blocks this week and made them on my own. It was a lot of fun, and they look great! I think they’ll be out for some time still. Purchasing through the below links helps me keep this blog going! The blocks were already painted for me, but this would be really easy to do. 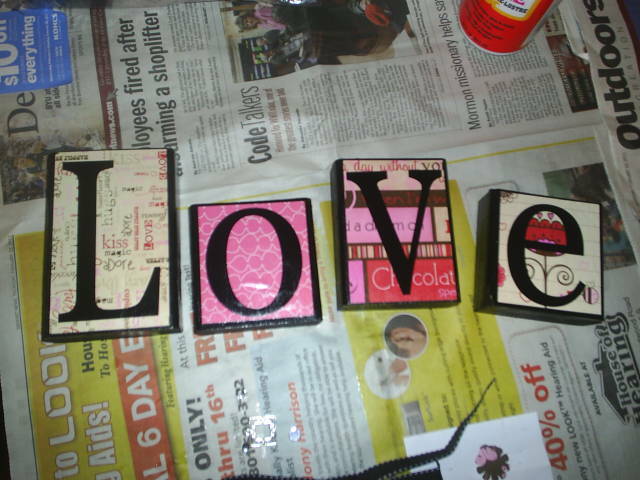 Cut a 2×4 down to the size you want your letters, then sand and paint. Mod Podge some colorful paper on the blocks. The letters are vinyl cutouts, with a sticky back. There are a lot of places that make vinyl letters like this. In the future, I’ll just use my cricut to cut the letters out of paper. Then mod podge them on. After sticking the letters I added another layer of mod podge to seal it all. Once the mod podge has sealed add different embellishments – paper flowers, ribbons, gems – with hot glue. Then display for everyone to enjoy! Where would you display these Love Blocks? I love these! I have never done mod podge, but I really need to! I've pinned some mod podge recipes, so we'll see. Thanks for linking up with the Bloggers Brags Pinterest Party. I have pinned your post to the Bloggers Brags Pinterest Board!